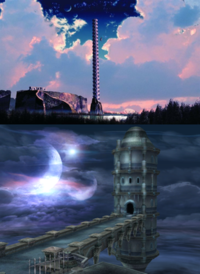 A feature that has been used in nearly every Ys title is the recharging health  mechanism, which had previously only been used in the Hydlide series. Recharging health has since become a common mechanism used in many video games today. ^ "Ys: Origin  - Rado's Annex - Blogging Games". Blogging Games. 2012-07-26. Retrieved 2017-10-24. ^ "XSEED/Falcom Interview". RPGamer. 14 May 2010. Retrieved 2010-05-24. ^ "XSEED/Gamasutra Announcement". Gamasutra. 14 March 2012. Retrieved 2012-03-14. ^ "XSEED Games/Ys Origin Available on Steam". Xseed Games. 31 May 2012. Retrieved 2012-06-02. ^ Chris Greening & Don Kotowski (February 2011). "Yuzo Koshiro Interview: Innovator in Game Music and Sound Design". Game Music Online. Retrieved 2011-06-20. This page is based on the Wikipedia article Ys (series); it is used under the Creative Commons Attribution-ShareAlike 3.0 Unported License (CC-BY-SA). You may redistribute it, verbatim or modified, providing that you comply with the terms of the CC-BY-SA.